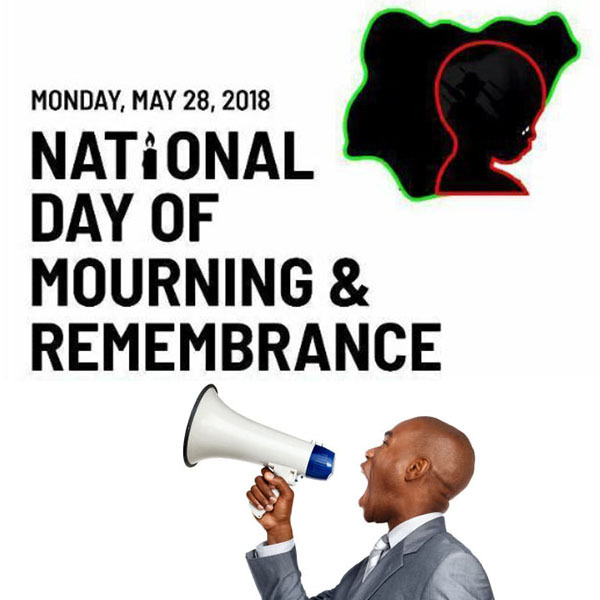 Leaders of Joint Nigeria Crisis Action Committee (JN-CAC), launched National Day of Mourning, denouncing the level of impunity and frequency of violent killings in the country. The day was marked by a series of symbolic actions such as “mourning at Unity Fountain” and so on. As we mourn the dead, lets make the peace. Very many Nigerians have been killed in violence all over the country especially Zamfara, Benue, Kaduna, Taraba. Jibrin has said it all. What else do you want to hear? Politically motivated? We cannot work on allegations. Nothing will move that way.